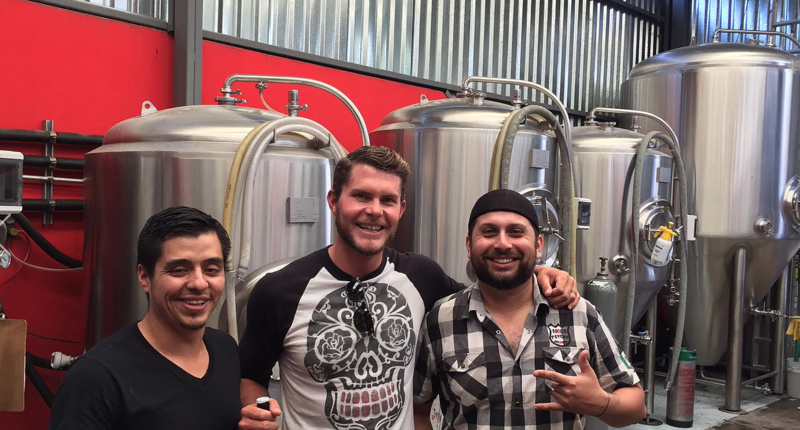 On this tour, we will visit Nano breweries among other large craft breweries in Ensenada & Tijuana. 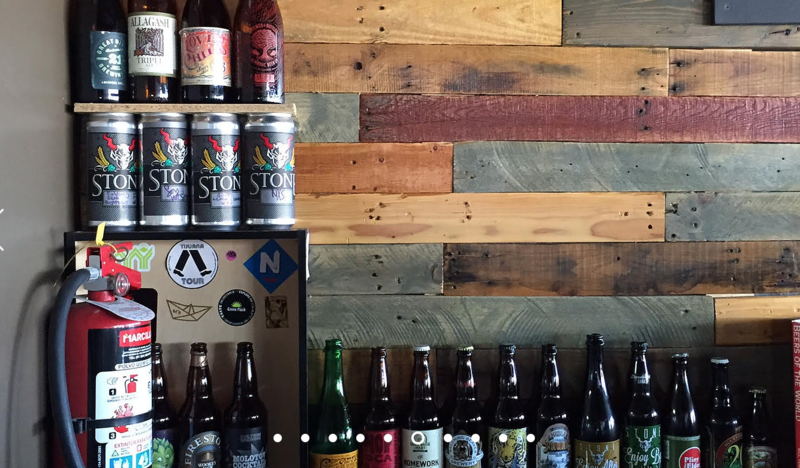 You will have an opportunity to indulge in a wide range of excellent beers including creamy stouts, sweet ale, hoppy IPA and more. We will also have some stopovers to enjoy some delightful snacks like freshly made ceviche tostadas, Tijuana hotdogs and tacos served on freshly grilled bread. On this craft beer tour, we will visit a brewery facility where will meet brewmasters who will enlighten you on the process of beer production and have a close look at the whole beer making process. 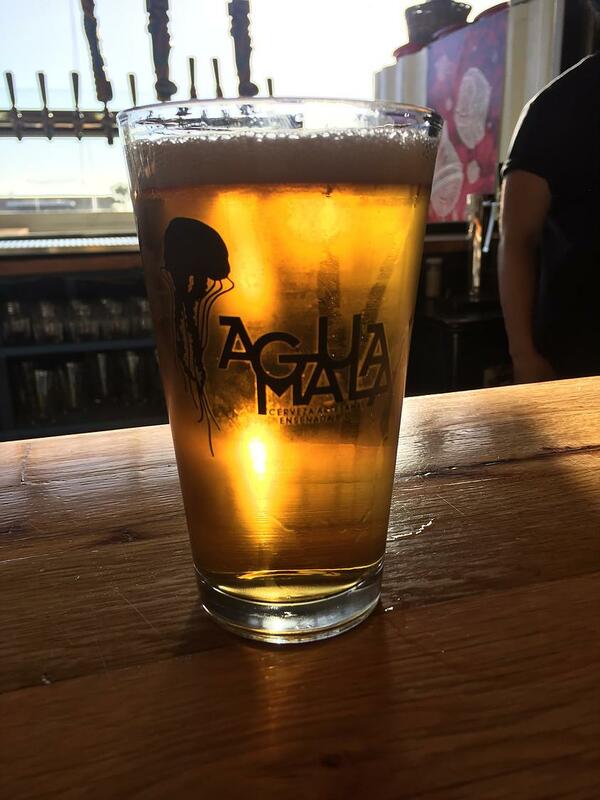 10:30am pick up at a convenient location in San Diego and head South! Experience the land of tequila and mariachis with the first Tequila Tour Company ever from San Diego to Tequila, Mexico est. 2014. We operate tours to Guadalajara and the truly beautiful ... moresurrounding areas, Tlaquepaque, Los Altos, Amatitan and Tequila. 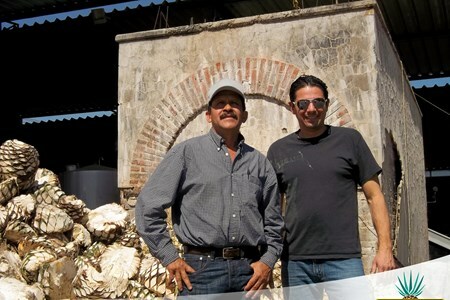 Spend your days exploring these areas of Mexico with a true tequila aficionado, Juan Andres Ortiz the owner of the company. Our Tequila Trail Tours are all-inclusive. Direct flight airfare round trip, Extremely unique 5 star Tequila Barrel resort lodging at the La Cofradia Resort, All meals included (breakfast, lunch, and dinner) and comfortable, spacious transportation with a stocked bar inside for the entire trip in Mexico and a knowledgeable experienced driver that is reserved only for our group the entire time. This is an all-Inclusive tour that requires a minimum of 12 or more people in order to operate. Tequilarias visited are: La Cofradia, Jose Cuervo, Herradura (all day tour), Tres Mujeres, Don Abraham, and San Matias, Sauza, and a few more with time permitting. 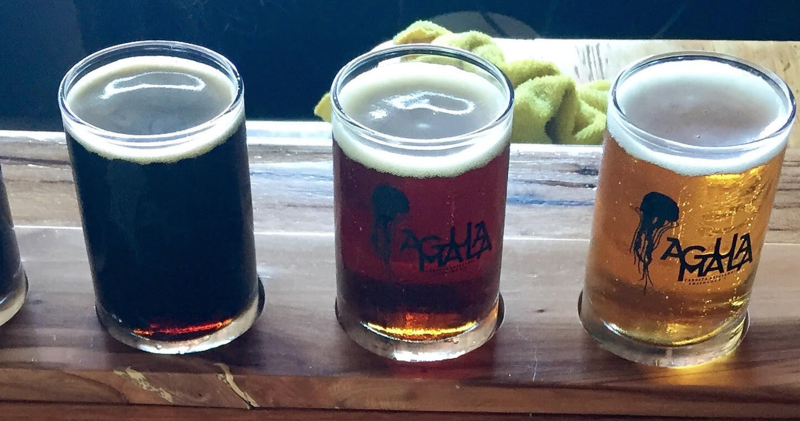 These excursions include food, drink, and tasting. We also offer a shopping tour of Tlaquepaque, a very unique destination renowned for its art galleries, silver, and history. You will also get to experience downtown Guadalajara where we tour, shop and experience this cultural area of Mexico. Tijuana airport serves both departing and returning flights. Ensure to carry your Passport. The only thing you will pull money from your pocket for would be, shopping (bottles of Tequila), tips, and extra alcoholic drinks with breakfast and dinner. Everything else is included! All drinks are included in all your tour tastings. Meet around 7 am at CBX cross-border express, adjoining 2745 Otay Pacific Drive San Diego. Depart from Tijuana international airport. Precise times will be provided once reservations are guaranteed. Arrive at Guadalajara at around 12-1:30 pm. Transfer to La Cofradia, our hotel located in Tequila Mexico, where we will spend 4 nights/5days. Check in by approximately 3pm. Our initial tour at La Cofradia includes tastings and concludes with a welcome dinner in their underground restaurant, to conclude we then visit Tequila Mexico to listen to local music with some tapas and drinks! Breakfast at the Hotel at 8am. Kick-off the day by 10 am. Visit two tequilarias, Tres Mujeres, in the township of Arenales, and Don Abraham in the township of Amatitan Jalisco. Enjoy a tequila tasting and savor a delicious authentic Mexican- style lunch. Return trip to Tequila Mexico for Dinner, Shopping and a Grand Fiesta in the square! OLE! Breakfast at the Hotel at 8am, as we need to depart by 9am on our agenda of the day. Visit Los Altos town and enjoy tastings at San Matias. In the afternoon, we’ll tour Tlaquepaque renowned for Art galleries, and Shopping, here we’ll have dinner and drinks and of course Mariachis! Breakfast at Hotel at 8 am. The day starts at around 9am with an ALL DAY ALL INCLUSIVE tour of Herradura that includes Lunch, Drinks, and Entertainment until 6 pm. Head over to the town of Tequila, Mexico, where we will view two tequilarias, Sauza and Don Jose Cuervo for drinks and snacks as well as more celebrations in the square! Depart from the hotel and proceed to Guadalajara to the airport for the return flight. Breakfast and Lunch included on this day (Time permitting, touring Guadalajara and some shopping). Our same-day ‘pay-as-you-go’ group excursion will transfer you from our pick up location at San Ysidro, California, situated at the Tijuana border crossing. There is also ... morean additional pick-up point in Rosarita Beach. 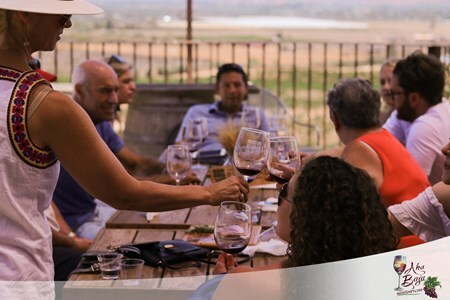 Sit back and experience the travel as we guide you through a delicious exploration of Baja California’s wine country. We’ll take you south for an amazingly scenic drive to the Valle de Guadalupe, located in Northern Baja California, Mexico. 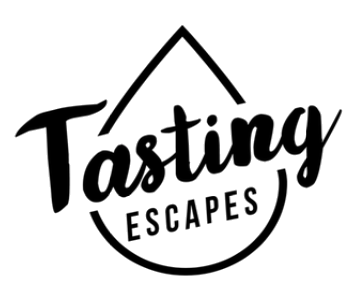 Your guided tasting trip will break at three wineries that prioritize on award-winning handcrafted wines, and a relaxed stop for lunch where you can dine facing the vineyards. Tours are planned for wine and food lovers, and we’ve done all the arrangement and logistics task for you. You will learn tidbits and nuggets of information that will inspire, educate and entertain you and your group! This will allow you to discover the Aha! In Baja! If you are searching for transportation ONLY, this is the ideal package for you! Hands down dollar for the value we are the best at what we do as a tour company and we know and excel at guest relations from start to finish. Just read our reviews on all our social media 100% 5 stars. Ask our repeat customers too! 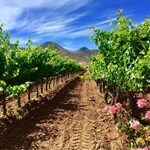 Explore Baja wineries plus a chance for some shopping too! Take in the charming views and majestic views of the Pacific Ocean and the Rustic valle. Share the knowledge with other interesting people. Relax with round-trip drive in a luxury air-conditioned tour vehicle. 8-9am: Meet and greet at the US/Mexico border in San Ysidro. Our expert and bilingual tour guide will welcome your group at a set departure point where we will walk you through the USA/Mexico borderline on our way to the transportation point. Your host will offer an agenda for the day and prove the appropriate papers and identification for accessing Mexico. Kindly ensure to bring your passport and a verified copy of the Release and Liability for each visitor. 9-10am: Board and depart for Valle de Guadalupe, Mexico’s Wine Country. Departure and drive plan may vary depending on the point of departure. Transportation with an organized description from a Baja enthusiast. 10:30am-12pm: Enter the first winery. 12:30pm-1: 30 pm: Arrive at the second winery. 2:30-3: 30 pm: Savor a gourmet lunch overlooking the vineyards of an award-winning restaurant. 3:30pm-4: 30 pm: Arrive at the third winery. 4:30pm-6: 30 pm: Relax and experience the delightful drive back to your tour’s departure spot (drive time is subject to change depending on your return location). 6:30-9-pm: USA and Mexico border crossing. Border wait time can last up to 2.5 hours. Our guided group wine tours are set up for you to share your day with either a few other sociable, wine-enthusiast travelers or a private tour of your design with our help! 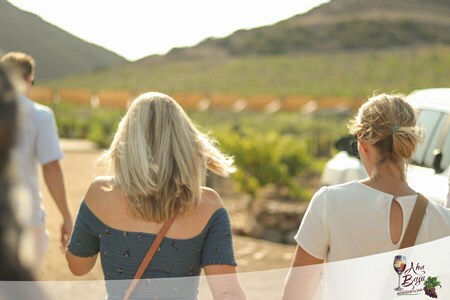 Each wine ... moretrip is a light-hearted and social affair that allows you to experience the booming wine territory of the Valle de Guadalupe, Baja Mexico in a fun, safe environment! You’ll visit some attractive wineries in the company of bilingual and well-informed tour guides Andres and Karen, the owners accompany you all along the way. You will learn tidbits and nuggets of information that will inspire, educate and entertain you and your group! This will allow you to discover the Aha! In Baja! Hands down dollar for the value we are the best at what we do as a tour company and we know and excel at guest relations from start to finish. Just read our reviews on all our social media 100% 5 stars. Ask our repeat customers too! 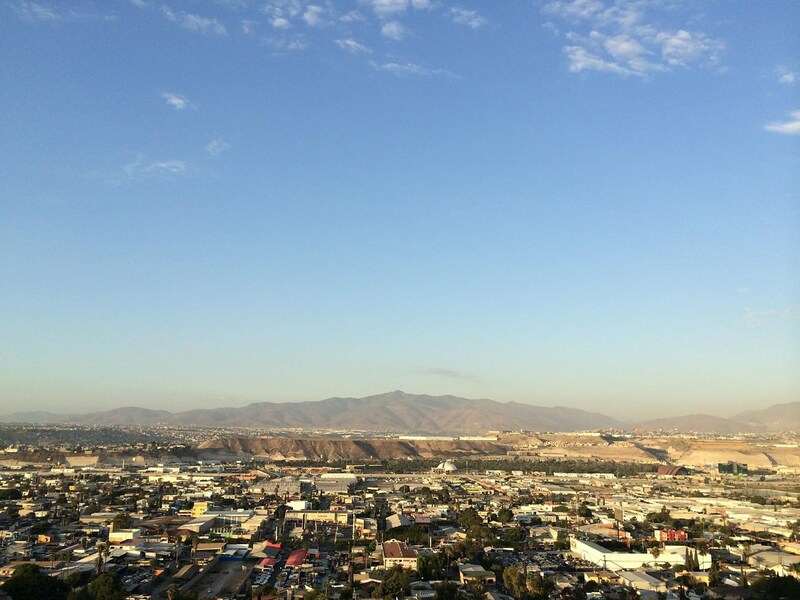 8-9am: Meet at the US/Mexico border in San Ysidro. Our professional and bilingual tour guide Andres will welcome your group at an agreed departure point where he will walk you through the USA/Mexico borderline to your transportation. Your host will supply a schedule for the day and check the right papers and identification for traveling to Mexico. Kindly ensure to bring your passport and an underwritten copy of the Liability and Release for each visitor. 9-10am: Embark and leave for Valle de Guadalupe, Mexico’s Wine Country (departure and transfer times are subject to change depending on departure spot). Transportation with hosted narration from a Baja enthusiast. Once on our way enjoy a champagne toast. 10:30am-12pm: Enter the first vineyard and winery with a complimentary tasting. 12:30pm-1: 30 pm: Arrive at the second winery and sample unique craft wines accompanied by a regional cheese, bread, and meat platter. 3:30 pm Enter the third winery to enjoy a catered lunch and a glass of wine or any drink of your choice (which is included). 4:30pm-6: 30 pm: Relax and admire the scenic drive back to your tour’s departure point (transfer time may change based on your return location).